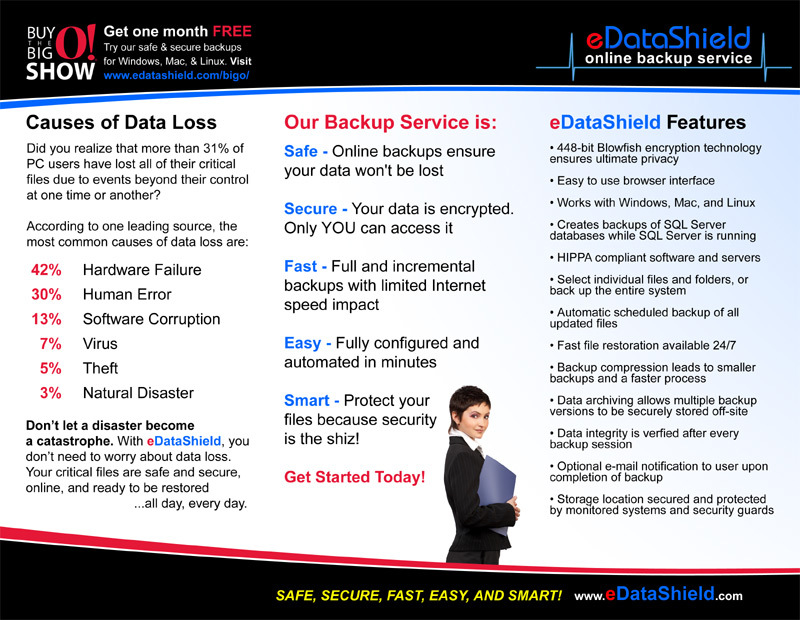 I’m going through my computer cleaning up old files and found a lot of design projects I’d never posted to my portfolio. So I’m doing that now. Prepare to be inundated. 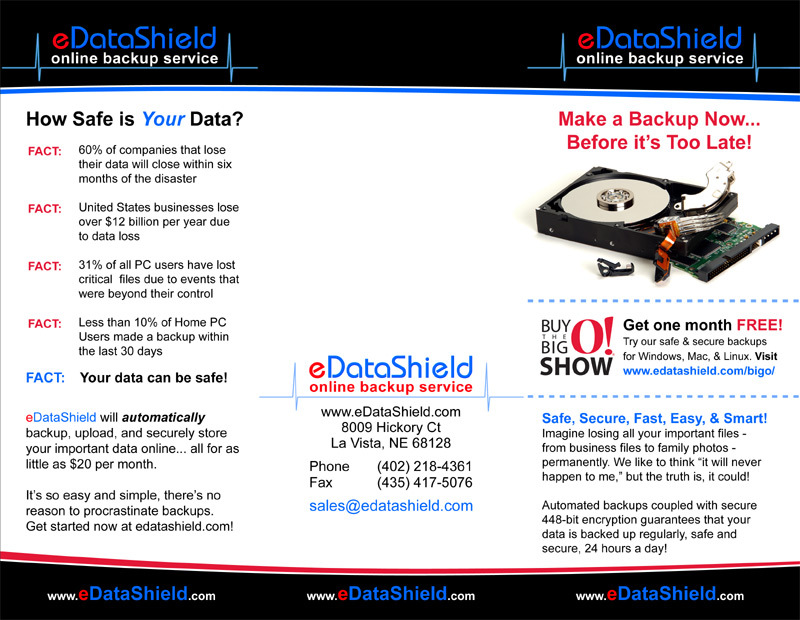 This is a tri-fold brochure created for eDataOnline especially for a trade show in Omaha a year or two ago. It’s actually a redesign of their original; if I can find the original I will post it here as well. Though I did not write the copy, the redesign included some fairly heavy copy editing too in order to make the verbiage shorter and more concise. As usual, I had them printed at Overnight Prints.